Marvel Studios’ Phase Four would have introduced The Inhumans to the Marvel Cinematic Universe, and it seemed like it was leading up to that when the group was introduced in Marvel’s Agents of S.H.I.E.L.D. TV show. 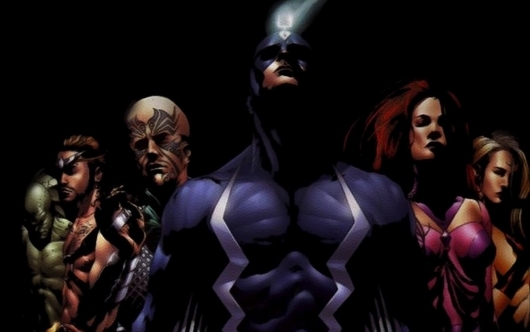 However, any plans for The Inhumans to appear in a film or on the big screen may have been axed Marvel’s The Inhumans is now in the works as a television series. The news was confirmed by Marvel Television, Disney/ABC TelevisionGroup, and IMAX. 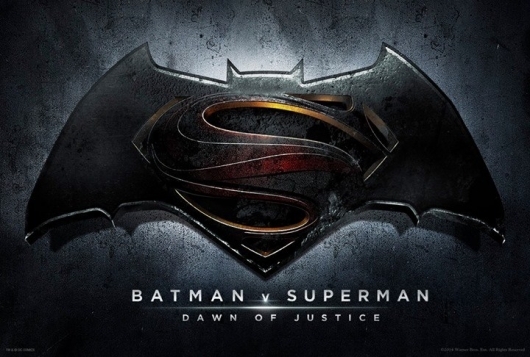 That’s right, IMAX is involved in this. That’s because, the “first two episodes of Marvel Television’s new series “Marvel’s The Inhumans” — produced in conjunction with ABC Studios and filmed entirely with IMAX digital cameras — will run worldwide exclusively in IMAX for two weeks at the beginning of September 2017.” The series then moves to its regular season run on ABC. The deal marks the first time that IMAX is co-producing network television. 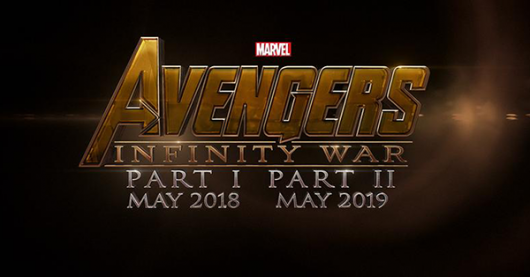 It is looking as if Marvel Studios’ two-part, all-star superhero epic Avengers: Infinity War is going to be bigger than we have been compelled to anticipate. Marvel chose today to drop a few of their patented news grenades on the unsuspecting interwebs, including Emily Van Camp’s casting and Paul Rudd and William Hurt’s reprising their Marvel Cinematic Universe roles in next year’s Captain America: Civil War. But one of their biggest announcements is that Infinity War will make cinematic history by being the first feature film to be shot entirely using IMAX cameras. Directors Anthony Russo and Joe Russo will employ the revolutionary next generation IMAX/ARRI 2D digital camera to film both parts of Infinity War after first using it for select action sequences in Civil War. Apparently normal-sized theater screens will no longer be sufficient to contain the widescreen excitement of the MCU. Go figure. Game Of Thrones makes history today, Thursday, January 29, 2015, as it becomes the first television series to be screened in IMAX. Digitally remastered editions of Episodes 9 and 10 of the HBO series’ fourth season will begin showing today in up to 200 IMAX theaters and will run through February 5, 2015. 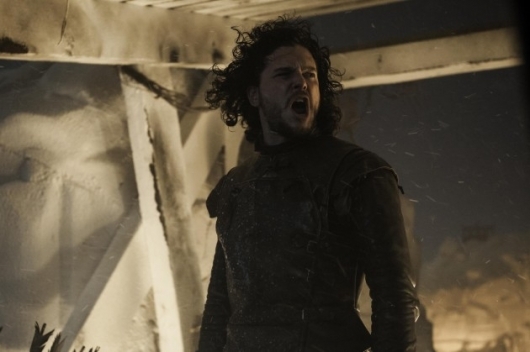 IMAX has released a featurette for the event, which contains footage from the episodes, along with an interview with executive producers and showrunners David Benioff and D.B. Weiss, who talk about seeing the show on the massive IMAX screen. Watch the featurette here below. Earlier this month, we learned that Game Of Thrones was set to become the first television series shown in IMAX, and thanks to fan demand, the release has been moved to Thursday, January 29, 2015 to allow for an expanded roll-out of screens upwards of 200 IMAX theaters from the originally planned 150 theaters. Now, IMAX has released a teaser for the upcoming event that gives a tiny glimpse of what’s to come in Season 5. Watch it here below. 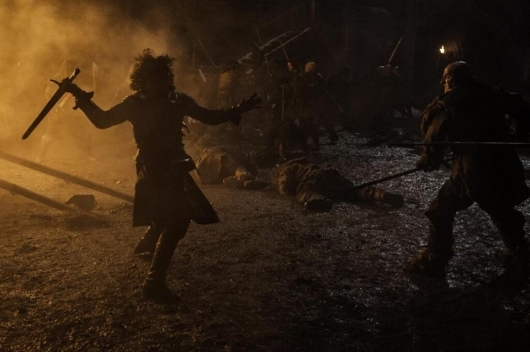 Earlier this month, we learned that Game Of Thrones was set to become the first television series shown in IMAX, with a scheduled release in IMAX theaters starting next week. 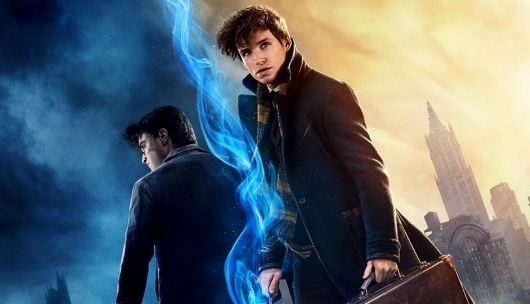 Now, thanks to massive fan demand, the initial release date of January 23 has been moved to Thursday, January 29, 2015 to allow for an expanded roll-out of screens upwards of 200 IMAX theaters from the originally planned 150 theaters. Also, the screenings, which will feature two episodes from Season 4 of the hit HBO series as well as a sneak peek at Season 5 created exclusively for IMAX, will be extended through February 5, 2015.